July 22, 2018 The biggest INTERFORST of all times, boasting 75,000 square meters and 453 exhibitors (160 of whom from abroad) met with an exceptionally positive response from all participants. The exhibitors particularly praised the visitors’ high quality and professional expertise. The smooth organization of the trade show has also been very well received. On the five days of the trade show, more than 50,000 trade visitors attended the event, approximately 1,000 more than in 2014. The foreign proportion leveled off again at 18 percent. All exhibitors agreed that the mood in the industry is excellent and the willingness to innovate high. The unusually strong presence of high-ranking politicians at INTERFORST 2018 was also perceived as very positive by the industry. 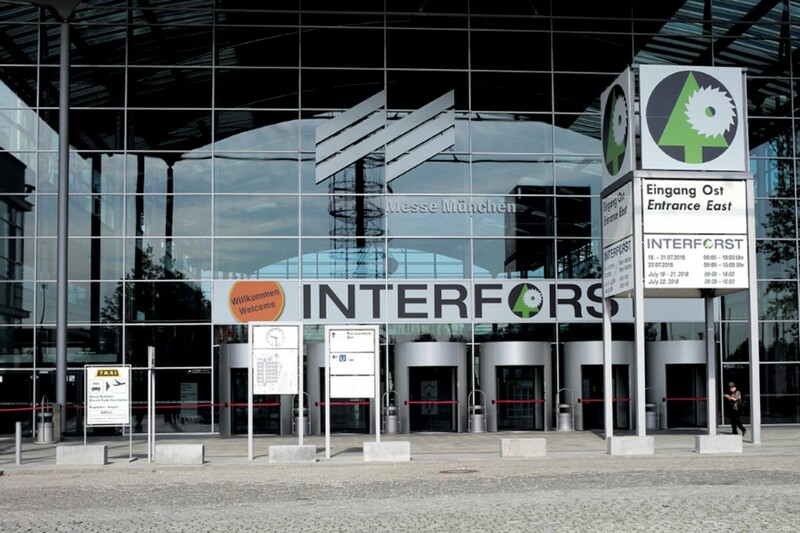 This leads to the conclusion that INTERFORST as leading trade show is a firmly scheduled event for the majority of the exhibitors and reconfirms its significance as a showcase for innovations and key trade show for the timber and forestry sector.